I quit for one main reason: I was tired of that life. I was tired of being a person who relied completely on nicotine to get me through the day. Everyday I would go through the same motions: getting up and smoking, finding an opportunity, smoking in private, and thinking about when the next time will be. I WANTED A NEW LIFE – As the years progressed, I saw everyone around me getting promoted, getting married, having kids, living happy lives, and just enjoying themselves. That wasn’t me. I hated my life. I wanted a new one, and I was determined to do it. CIGARETTES WERE KILLING ME – They really were. I could feel it. I could see it in my skin, I could definitely feel it in my lungs, and I was getting sick all of the time. I was tired of it. Whenever I would quit for an extended period of time, my skin’s appearance dramatically increased and became more clear. Smoking reduces oxygen intake to your body, so naturally the more oxygen your body gets, the more quickly it can heal. 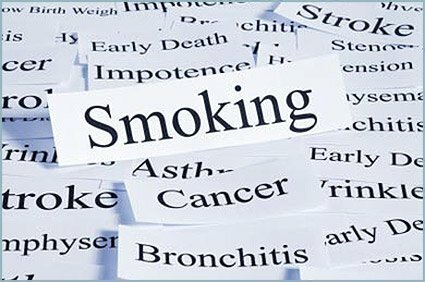 SMOKING LEAD TO OTHER SUBSTANCE ABUSE PROBLEMS – This is a biggie for me. Along with smoking, I was and still am a problem gambler, and I drink too much. All 3 of these things go hand-in-hand, in my opinion. With one comes the other. When I quit smoking, I drank less because it was not as fun to drink and not have the pleasure of lighting up. If I wasn’t smoking and drinking, I certainly wasn’t in the bar gambling with just a glass of water at hand. I just wouldn’t do it at all. If I relapsed, I would be at the bar the same night drinking and gambling. That’s just how much of an addict I was. The combination of smoking, drinking, and gambling will destroy you like it did me. 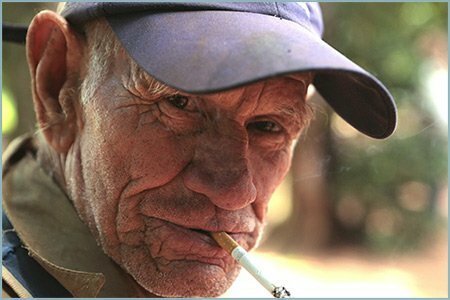 I DIDN’T WANT TO BE AN OLD PERSON WHO SMOKED – I work at a bar and I see a lot of regulars who come in on a daily basis, and they all smoke. I didn’t want to be one of them. If I continued to be someone who went to the bars every night after work, I was destined to be one of them. Plus it’s all so fake and stupid. They come in and drink the same drinks every night and talk the same talk and they all think they’re doing something with their lives by befriending everyone in the bar night after night. I also didn’t want to be someone who couldn’t quit, or it was too late in their mind. I work with someone who is well on her way to emphysema, and she knows it, but she is too stubborn to quit. She knows she has to quit, but she’s prolonging it as much as possible, and suffering because of it. I KNEW GREAT THINGS WOULD HAPPEN IF I QUIT – And they did. Even after 1 week, those 7 days were terrific! They were the best days of my life! Well no, but I certainly was headed in the right direction and enjoying myself. I was moving forward, I was saving money, I was sleeping better, and I was definitely looking better, too. The list goes on and on. But I knew deep down that great things happened once I threw my cigarettes out for good. I just had to do it once and for all! 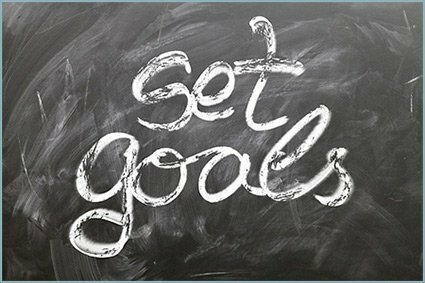 SMOKING WAS KEEPING ME FROM REACHING MY GOALS – In my personal experience, smoking kept me from attaining my goals of life. I wanted to go to the gym, but when I smoked, I lost the desire to be healthy. I wanted to be buff and possibly run a marathon someday, but as an addict, that wasn’t possible. I wanted to buy a car, buy a house, buy a nice TV, but none of that was possible as long as I was a slave to nicotine. I wanted to be in a loving relationship. But, if I hated myself and my life, those negative vibes would branch out through the universe and that person would never show up. I truly believe with positive thoughts and actions come positive reactions. I DIDN’T WANT TO DIE YOUNG – Simple as that. I can almost guarantee that if I continued down the path like I was, I’d be dead by the age of 45. I was spiraling downhill fast! Plus you only get one life, you only get one chance to do things right. I quit smoking because I wanted to lead the most healthiest life possible. I wanted to feel good and take advantage of all that life has to offer. Obsessing over cigarettes and smoking every moment of the day was not the winning formula. 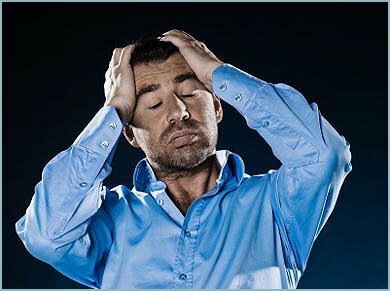 I WAS SICK OF THE ANXIETY ATTACKS – Smoking causes anxiety, and I would have an anxiety attack almost everyday during work. I always would blame it on the stressful situation, but it’s the withdrawal that caused the stress. Because when I quit for any length of time, my anxiety fizzled away even though work was just as stressful as it was before. Only now it was 100% more manageable. Anxiety was a killer for me, and now that I’ve quit, it’s about 85% non-existent in my life. That’s a great thing! I have been nicotine free for 6 months now. I quit cold turkey and have not used any NRT’s. My withdrawals are very minimal now compared to the beginning. If it weren’t for this web site and the posts from Mateo, I would not not have had the the support and information to be able to take on this battle and beat it. I smoked for 28 years and now I am free from nicotine addiction! Thank you Mateo for posting this info. It has been instrumental for my nicotine cessation. Wow, thanks Mike! That’s awesome to hear! Thank you Mateo!!! 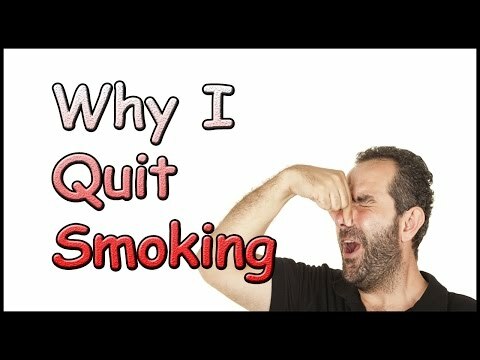 Your blog/writings have made more sense and given more clarity for me on the whole issue of quitting than I think anything I have ever read on the subject. Vaping on menthol 0% nicotine – after ten days and hell – you are right!! It’s not been easy but your blog has been an absolutely fantastic help. Thank you, you’re brilliant. HI MATT, I AM ON DAY 6 AND THINKING ABOUT IT VERY OFTEN. I’M GLAD I STUMBLED UPON YOUR WEBSITE. I HAVE JOINED PLANET FITNESS BUT I’M FEELING VERY FUNNY AT TIMES WITH MY BREATHING. I THINK IT’S GAS OR ANXIETY. I SEEM TO BURP MORE THAN I’VE EVER HAD IN MY LIFE. DID YOU EXPERIENCE THAT? I AM SCARED TO SMOKE BUT WANT TO VERY BAD. HELP!!!! Depending on how long you smoked, your lungs are going to go through a healing period. Wheezing and breathing problems are very common at the beginning once you quit. Don’t worry about it, but also don’t overdo the exercise, either. Just take baby steps and allow your body to adjust to your new life as a non-smoker. Don’t go back, though, whatever you do, as you will ultimately regret it immediately. Hi Matt, glad I found your site, I like the honesty – quitting is hard, but smoking is harder. I’m at day 7 and still trying to fugure out how I’m going to be a non smoker. I can’t remember how I lived before I smoked. Reminding myself it’s a process and my thoughts are still clouded by the addiction, buy damn I’d love to have one more cigarette before I let go for good. Don’t do it! That’s exactly what it wants you to do. You’ll get hooked again and you certainly won’t have just that one before you quit for good. Stay strong! HI MATT. FIRSTLY, I LOVE THE NEW WEBSITE DESIGN – IT LOOKS GREAT! THE INFORMATION HERE IS ABSOLUTELY SPOT ON. YOUR PERSONAL STORY AND STRUGGLE SOUNDS EXACTLY LIKE MINE. THE CONSTANT RELAPSING, THE DRINKING, THE GAMBLING, THE INHALER, THE DEPRESSION, 20 YEARS OF SMOKING ETC…MAN, READING THIS WEBSITE REALLY RELATES TO ME. ANYWAYS, HERE I AM AGAIN ON DAY 1 AFTER YET ANOTHER RELAPSE AFTER BEING ON A HOLIDAY. I REALLY THINK THIS TIME I WILL SUCCEED. THE FUNNY THING IS, I KNOW HOW GOOD IT FEELS TO STOP SMOKING, EVEN FOR A FEW DAYS! WHY I CONTINUE TO GO BACK TO SMOKING KNOWING VERY WELL HOW CRAPPY IT WILL MAKE ME FEEL IS BEYOND ME -IN FACT IT’S INSANITY! THANKS AGAIN FOR ALL THE GREAT INFO, LETS HOPE I GET IT RIGHT THIS TIME. CHEERS! Yep, great minds think alike! And I agree. It’s crazy how you know how great you’ll feel after quitting smoking, yet somehow it sneaks back into your life and ruins everything again. But trust me when I say this…now that I’ve had a good chunk of time not smoking or doing anything, I wouldn’t trade it for the world. It really makes a huge difference in your quality of life. It affects so many things. It affects so many LITTLE things, and those are the ones that really get you excited. Like, it’s great that I’m not destroying my lungs, but it’s also great that I can have a great night’s rest and wake up early and full of energy and be a morning person! Definitely wasn’t a morning person as a chain smoker.